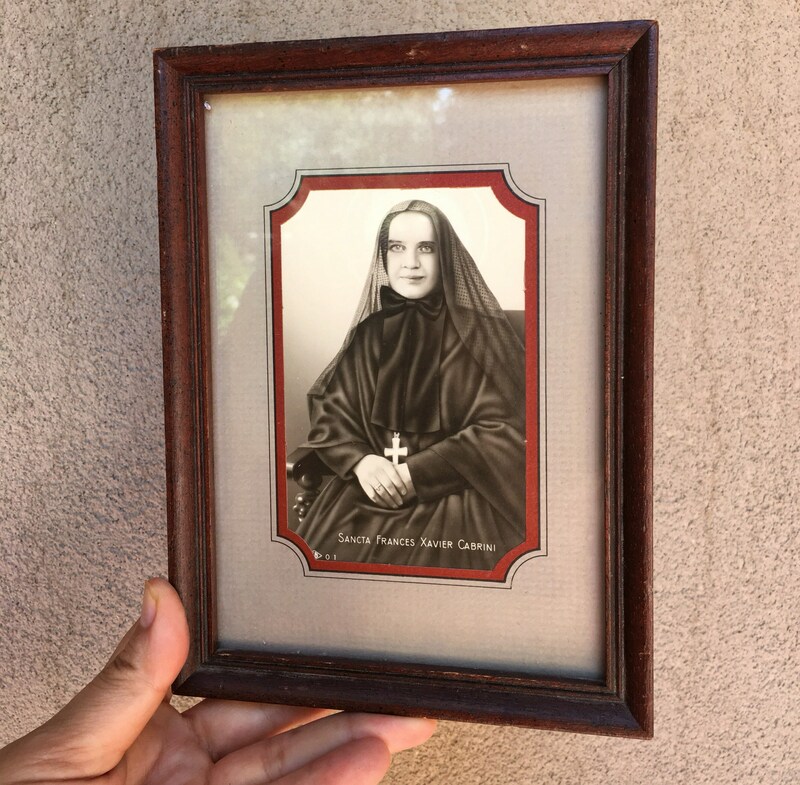 This is a 1946 framed photo / holy card of Saint Frances Xavier Cabrini (1850-1917), who dedicated her life to religious works and taught orphans in Italy, and later in life traveled to the United States to help Italian immigrant children who were arriving in great poverty. 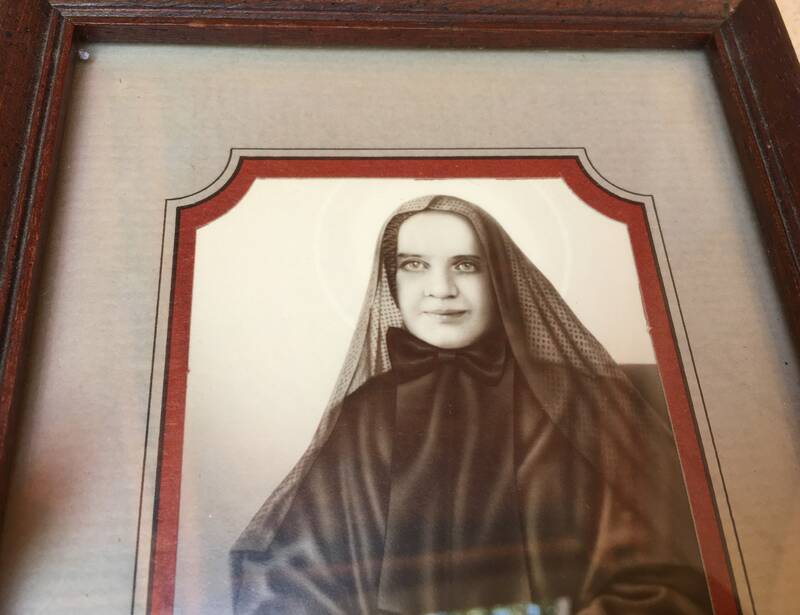 She founded 67 institutions in the U.S., and eventually died here in 1917, being canonized in 1946. 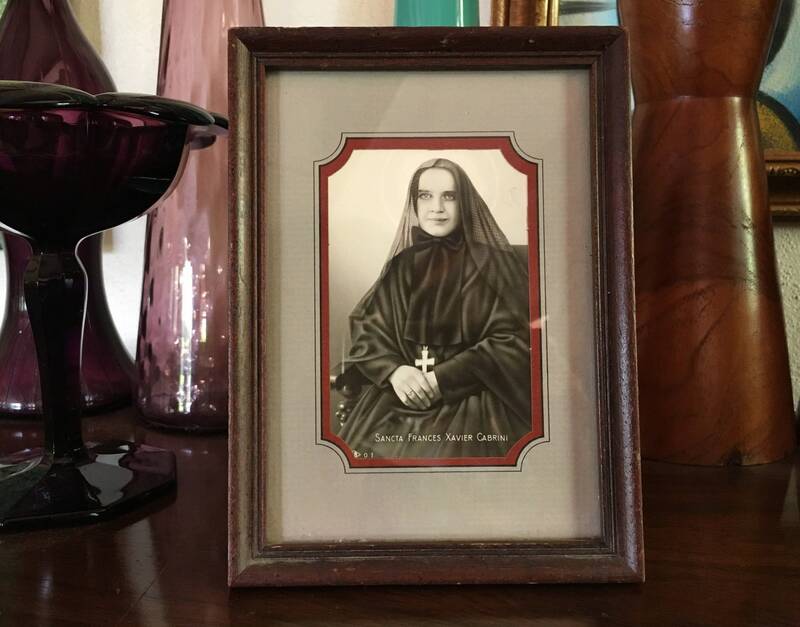 She is considered the Patron Saint of Immigrants. The black and white photo is yellowed but still in original matting and frame. 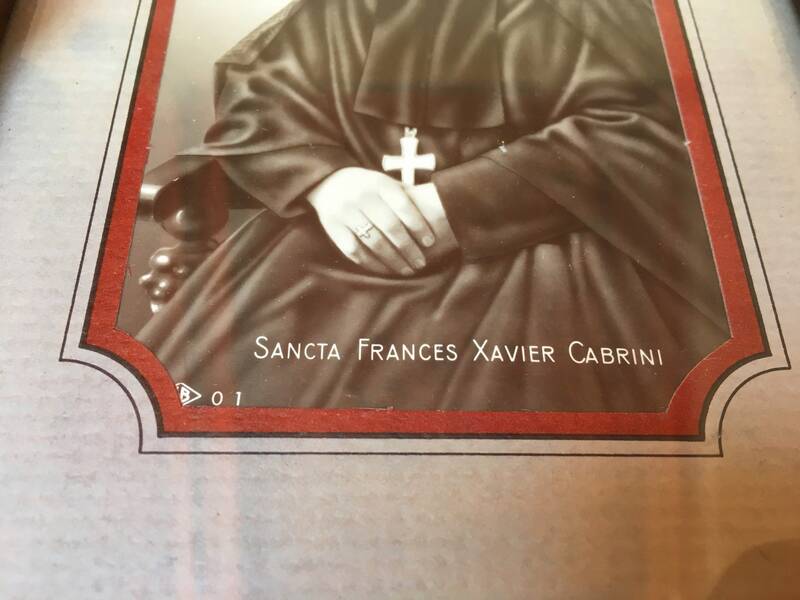 Near the bottom is printed the words "Sancta Frances Xavier Cabrini" and then information about the copyright and Made in USA. 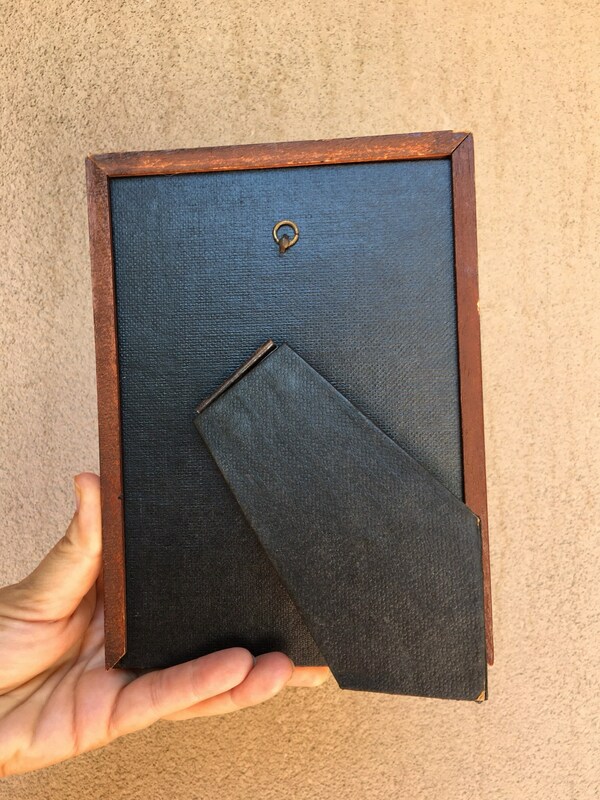 This photo print is about 3-1/2" by 5" and the mat 5" by 7". Frame slightly bigger. Includes glass. Discolration along edges of mat, and some dings in the wood frame. A beautiful, and dramatic period image. love it!